Moving house is always interesting. Moving house on a tiny budget with a minimum income is another experience. We have three more days in our current house, which is being sold by the landlady because she has to financially. It is not a tragedy to leave this house, we were ready to go and the need for her to sell was the gentle kick we needed. This house has served its time, as have many houses for me. Before we even knew each other, Robby and I had both moved many, many times. Mine started as a child: we moved frequently. I was used to forming friendships and then saying goodbye and never seeing them again. It happened many times. Part of my childhood was spent in an area of the country full of Royal Airforce bases. My class at school was full of kids who had also moved frequently. The difference was I was the only one without a dad who was a pilot or an aircraft engineer. Getting used to it was one thing, liking it another.We didn’t get asked how we felt, we just moved. This nomadic, unsettled life seemed to infuse my being as I have continued to move around as an adult: restless, seeking, making choices – sometimes good, sometimes bad. It is as though I have never given myself permission to put down roots. Putting down roots is what happens to other people. However, this time, I have been tuning in to myself more: feeling the variety of emotions, moving again has brought me. Having so little money to move with has made both of us feel very vulnerable and triggered fears about feeling safe in the world. We haven’t even found a home yet so we are faced with the unknown and the likelihood of another temporary place. Anxiety about money, accommodation, being judged for not having money, not being able to provide the basics of life for ourselves. It has helped us reflect on the level of self- love, or rather the level of lack of self love we have indicated by not creating enough to have a secure roof over our heads. This lack of self love and self worth, the past feelings of “being undeserving” to have a home, to have a place we love, that expresses us as individuals has been a huge reflection, a sad and fearful place. I have looked around at my things as I have been packing and clearing. Much of it is furniture I bought because it was cheap, not because I found it beautiful. There are only a few splashes of “me” and fewer of Robby. I have most things I need, but it is a story of “making do.” Ironically, last year I fought a battle in court for my son, who has special needs, to get him into a great college. I didn’t want him to go to the local college whose standards for young people with special needs was adequate. Like many parents, I knew my son deserved better than adequate, he deserved the best for himself, the greatest opportunity to learn and grow into an independent adult. But for myself, I have accepted “adequate” without question. Why? Somewhere down the line, of course, that is what I was told as a child. But I am not a child anymore, and regardless of any false beliefs or messages given to me back then, I can make a choice. It is much the same for Robby. So this time, we choose differently. In allowing ourselves to feel all the fears and truths in this move, it has created a deep desire to change what we have: to create an abundant life and take steps to create a home we will love. 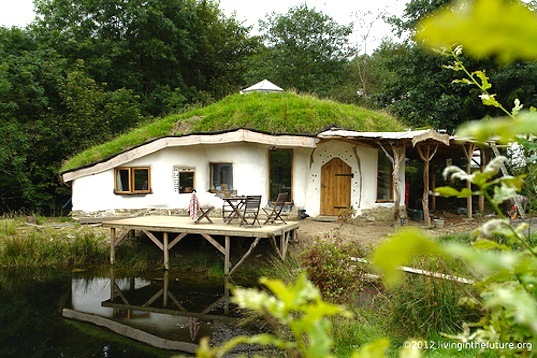 It is time to put down roots: to put together a home, brick by brick ( or straw bale by straw bale is our dream). We have chosen a beautiful part of the UK and that is a good start. Devon has things I love: stunning coastline, wild moors, wild, natural rivers, pretty rolling hills and woodland. We do not how yet, we do not even know where exactly, but we do know it is time to use our will in a loving way for ourselves. Being truthful about all the fears and pain of being in this situation has empowered us to change our perspective on what we can do and given us more focus and determination than ever. We are still pretty scared, but feeling the fear is not the same as letting the fear dictate your every move. Fear it just there existing anyway, but acting despite of it, is what helps it go. Feeling any grief over how we got here too has been important and something new for us to really acknowledge. Feelings just need to be felt, but it doesn’t mean they have to stop you from making changes and choosing to be responsible for yourself. In fact, in my experience the denial is what has held me back. It can feel terrible for while, but the truth really does set you free. But the best thing is, the truth we have realised is: we deserve this.